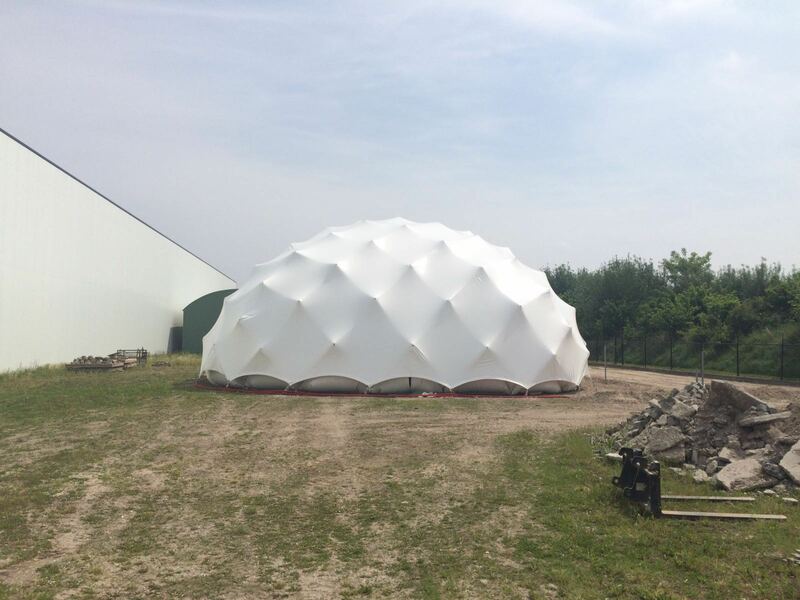 Poly-Ned completed the second Shaded Dome™ prototype at their own facilities in Steenwijk, the Netherlands. The Shaded Dome™ is a joint project by Zwarts & Jansma Architects, RoyalHaskoningDHV and Poly-Ned. Diederik Veenendaal provided structural consultancy regarding the structural design and analysis of this prototype and the system in general. Read more on our project page or the official website.